For REVO M, REVO CL, CD3000E and MULTIDRIVE. 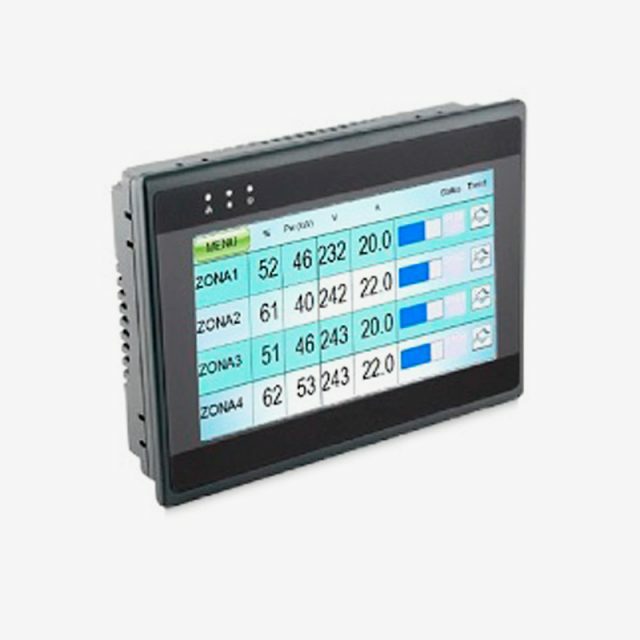 The target of this panel is to make easier, intuitive the interface with the operator during the configuration or the day by day operation. Switch on the HMI and you can interact with it without to read the manual. REVO KP2 can be connected with 6 zones. The operatore Page can display 4 or 6 zone depending by the page selected. Pushing the zone name is possible to see the advanced parameter and setting page for each zone. Each parameter can be recorded and is possible to see recent and historical trend for all the time that the HMI is switched on.